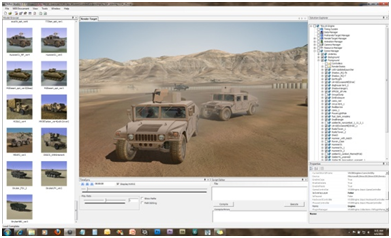 Tellus Studio provides a high quality video production environment using the Tellus Simulation Toolkit. 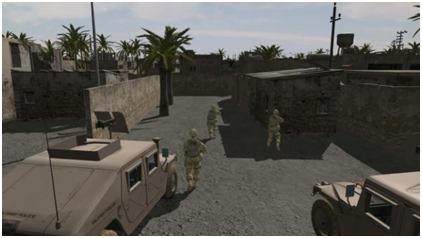 High fidelity, physics based simulation can be combined with movie quality camera effects, lighting, mission scenarios and datasets in a collaborative production environment. 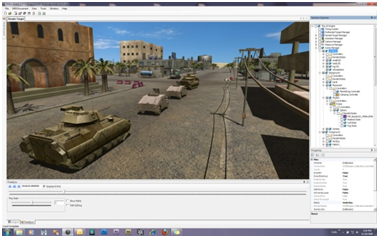 Simulations can be output directly to HD video formats for presentations, websites or training videos. We work with our customers to identify requirements and explore possibilities using illustrations, storyboards and scripts. 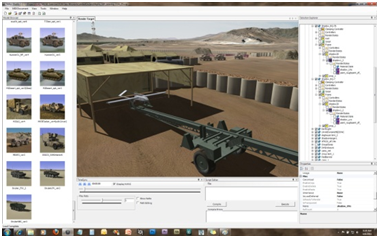 Our team takes the initial requirements and produces a preliminary prototype for review. Agile processes are applied to the project to rapidly iterate to a final product. Customers provide feedback throughout the production cycle. Our final productions are delivered to the customer on CD, DVD, Hard Drive or through Internet download. Production resources are maintained by our staff in the event future productions are needed, saving our customer the expense of a new production. 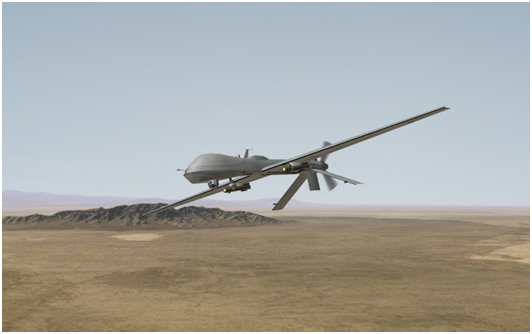 Using the latest simulation and gaming technology combined with massive datasets, GIS, and a full Earth terrain database, we can bring your concept vision to life with precision. 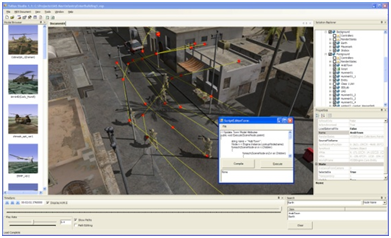 We’ve helped Congress visualize systems and battle space of the future, conceptualized search and rescue operations, visualize terrorism scenarios and missions difficult to define without a detailed simulation over time in a real world location. You define the What If , we can make it real.